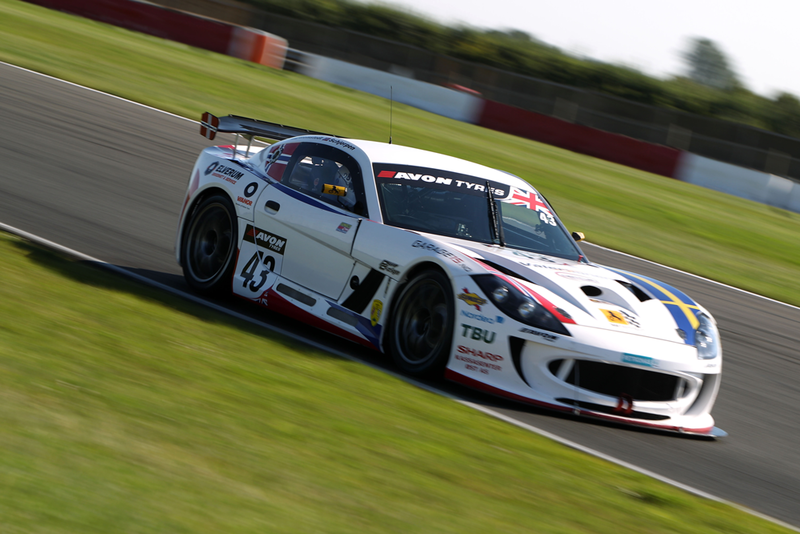 Century Motorsport made their way to Snetterton Circuit for the penultimate weekend of the 2015 Avon Tyres British GT Championship, hoping that all their bad luck for the season was behind them. 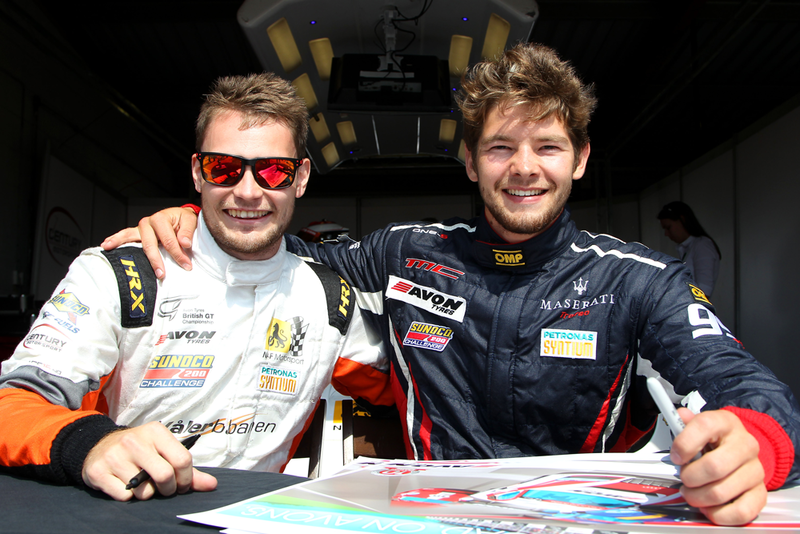 Regular driver Aleksander Schjerpen had been joined by British GT debutant Fredrik Blomstedt for the remainder of the championship and the pair were keen to get off to a flying start. A steady pair of free practice sessions at an extremely hot Snetterton set the pair up for a strong attack during the afternoon’s qualifying. Aleksander Schjerpen’s best time from qualifying one would set the teams starting position for Sunday’s race one with Fredrick Blomstedt’s best lap in qualifying two determining the grid order for race two. 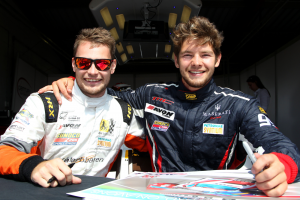 Both drivers managed to qualify their Century Motorsport Ginetta G55 seventh in their respective sessions, placing them in a very strong position going into race day. With rain predicted at some point in the afternoon at the Norfolk venue on Sunday, race one was possibly going to be the only dry running of the day. Aleksander Schjerpen was on start duty for the opening race and after a consistent opening few laps, the Norwegian driver was able to promote himself to sixth place, finding a way past the AMD Porsche of Coomes. Schjerpen continued to close the gap to the pack in front before handing over to Fredrik Blomstedt as the pit window opened. A slick pitstop from the Century Motorsport team allowed Blomstedt to comfortably settle into third place for his first few British GT race laps. Showing no signs of being new to the Ginetta G55 this weekend, Fredrik quickly closed in on fellow Swedish driver, Denis Strandberg before making his way past to take second place. The pair continued to lap together and in the closing stages, Strandberg managed to find a way past Blomstedt who crossed the line just 0.3 seconds behind in third place, scoring a much deserved podium for the team. As scheduled the rain started to fall just before the final race of the day. Fredrik Blomstedt was this time behind the wheel for the race start. Having no wet weather running in the car under his belt, the opening few laps of the race were going to be tricky. After two safety car laps the race got underway with everyone finding their feet in the conditions at the first corner, unfortunately for Fredrik, he slipped back to tenth. As the conditions worsened, Blomstedt immediately became acclimatised to the car and started carving his way back through the field, pitting just after the half way mark from fifth place. Another text book driver change allowed Aleksander Schjerpen to start his attack during the final stages of the race from third with just under 30 minutes remaining. Schjerpen started closing on the two Ginetta G55’s ahead taking several seconds a lap out of the gap. A few moments after Aleksander made his way into second place, the race director declared an end to the race on safety grounds due to the torrential rain that was flooding the track. Aleksander, Fredrik and the team claimed their second podium finish of the weekend, a fantastic result for everyone’s efforts.